Building your custom home in Nampa and the Boise metropolitan area can not only be a rewarding experience but a wise investment. As comparison to other parts of the country the purchase of a lot and the building of your Nampa home are reasonably priced for the buyer. 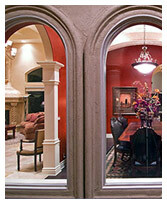 At One World Builders, we can bring that dream home you always wanted to reality. 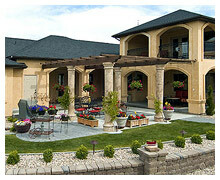 From creative architectural design to quality craftsmanship, We have s reputation as one of the premier custom home builder in Idaho. Contact us for an initial consultation. We will be glad to help. The city is located approximately 20 miles west of Boise and was founded in 1886. It is the second largest city in Idaho and one of the fastest growing cities in the state with a population of over 81,557. Nampa is also part of Canyon County and the Boise Metropolitan area (population 563,000), popularly known as Treasure Valley. With close proximity to the many mountains and rivers, outdoor activities are part of the Nampa healthy lifestyle. Fly fishing, rafting, snow skiing are just a few outdoor activities available in the surrounding area. The city has has over 200 acres of parks and provides and array of sports and community activities. A popular event in the area is The Snake River Stampede Rodeo. Held in late July, this event is recognized as one of the top twelve professional rodeos by the Professional Rodeo Cowboys Association. A must see event if you plan to visit or live in Idaho. For those interested in building a home in this city, the local Chamber of Commerce has a relocation package available for $15.00. It contains a map of Nampa and of Canyon County, area activities, banks, home builders, schools and business information. For more information visit the Nampa Chamber of Commerce website.or send a $15.00 money order or check to: Nampa Chamber of Commerce, 312 13th Ave. So., Nampa, Idaho, 83651. As one of the premier custom home builders in Idaho, we want your home to truly reflect the lifestyle and the aesthetic reflection of your needs and tastes. For more information please visit "About Us" section or to setup an initial consultation. One World Builders can be contacted at 208.280.3333.